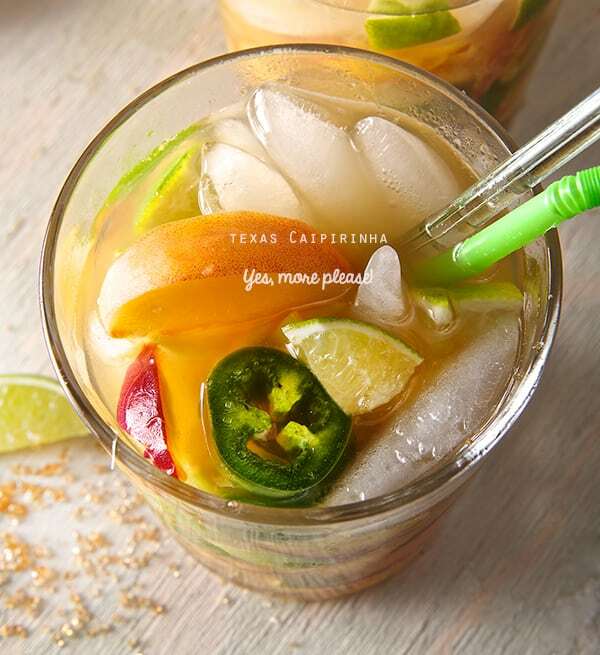 Peach Jalapeño Texas Caipirinhas ~ Yes, more please! Summer is here, and with it the longest day of the year. 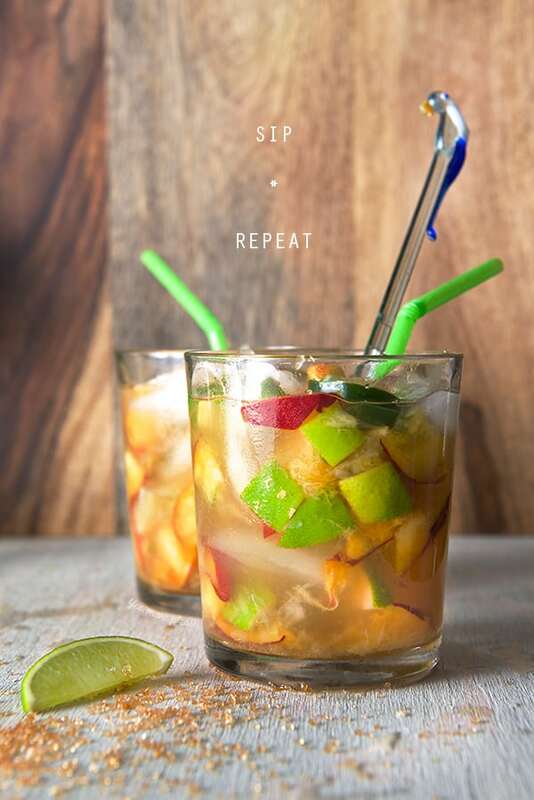 Why not enjoy the extra day time by making these delicious Texas Caipirinhas with the best company there is: a great bowl of fresh chopped salsa and chips…Oh yes, my friends this is one of the best ways to start your Summer! Brazil’s national cocktail “Caipirinha”is an easy and refreshing cocktail. 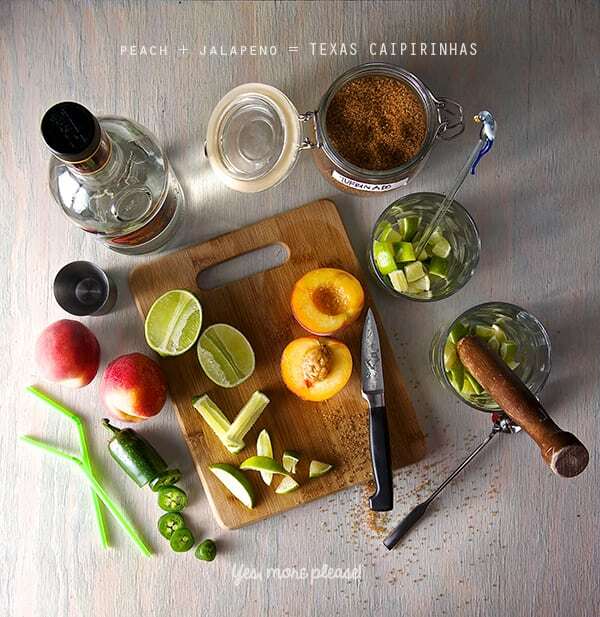 This recipe has great twist that makes it Texan all the way. It will knock your socks off! ~which is about time is summer bring out the sandals!~ You are gonna love this Peachy Caipirinhas. Now instead of talking about them, just start making them, you’ll see what I mean pictures speak more than a thousand words on this recipe. Company? I got you covered “chips and salsa”. I made a Cucumber-Avocado Pico de Gallo, it’s refreshing and a cross between your regular Pico and Guacamole. I’m sharing my salsa tips with you. 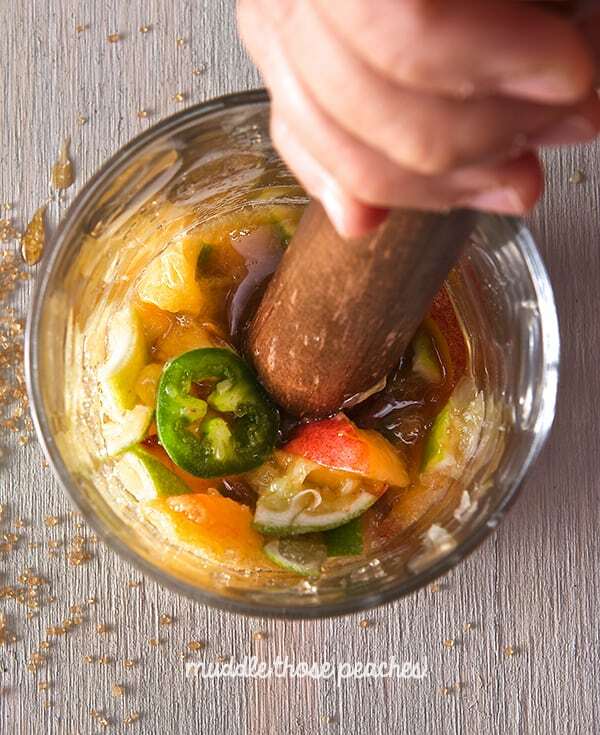 Making salsa is so easy when you know the little tricks. I’m sure these tips will make your salsa dance and taste even better. Cheers to a happy Summer, have a great weekend! Makes 2…because a drink always taste better when you are in company! 2 jalapeño slices no seeds!!! 4 ounces of Cachaça Pitu or Yurioca My favorites. 1. 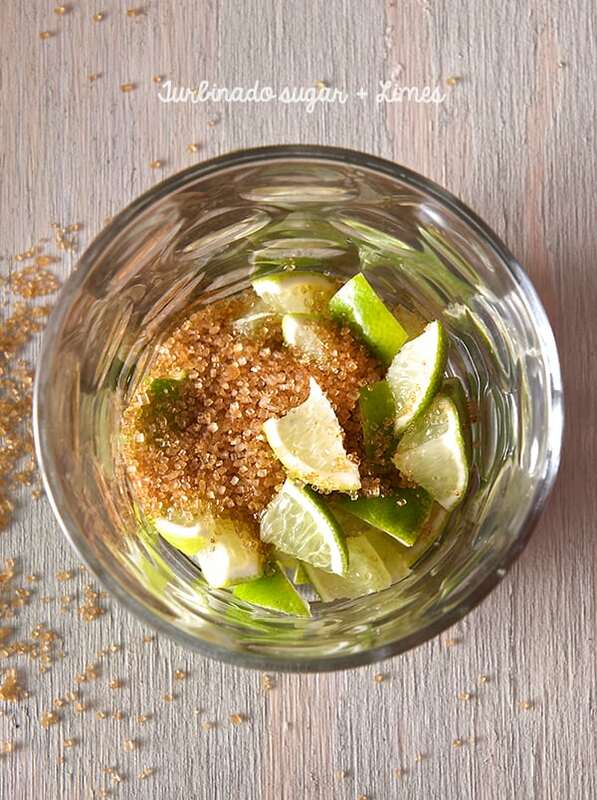 In a short wide glass place pieces of 1 lime, the sugar and muddle with a wood pestle. 2. 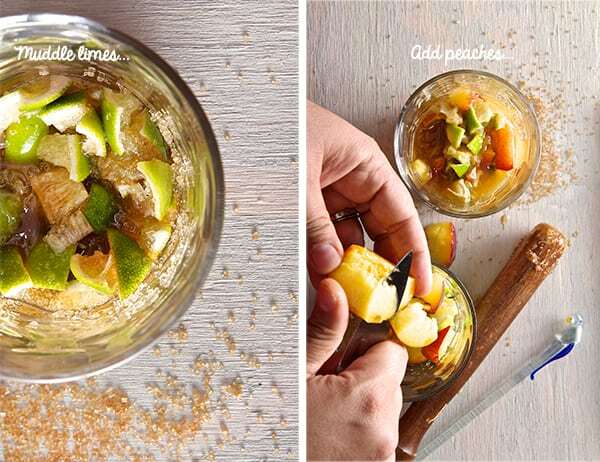 Add ½ a peach on each glass and muddle. 3. Add 1 jalapeño slice into each glass and muddle just enough to release the spicy juices. 4. 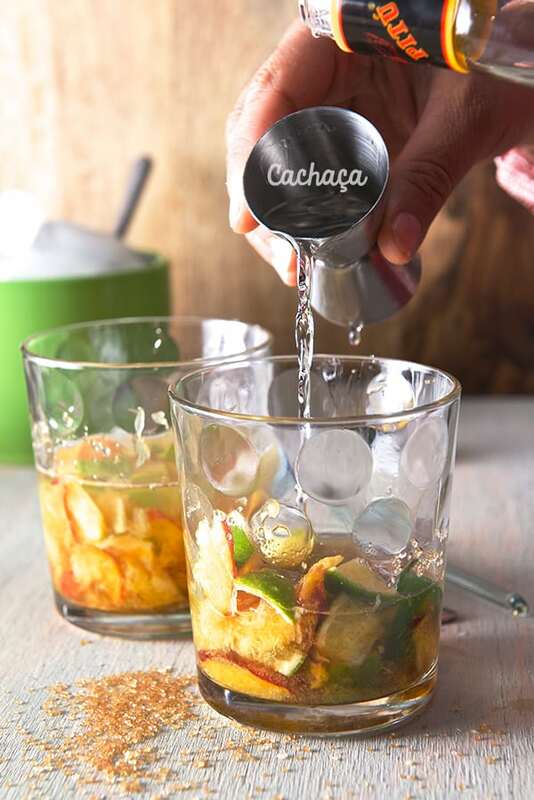 Pour the 2 ounces of Cachaça into each glass. Stir. Cucumber-Avocado-Pico de Gallo Click here!